Consulates are the representation of public administration from the country and offer legal and administrative services. They also facilitate the relationship of citizens to their host country. If you are abroad and you lose your passport or identity card, you possibly can go to your embassy to request that you issue a new passport and so help you return to your country effortlessly and safely. Review the content of this page to get the address, phone and contact details of all the Embassies and Consulates in Gothenburg and nearby cities. We're pretty sure that the staff at Embassies and Consulates in Gothenburg speaks your language perfectly so you can not have any situation communicating with them. There isn't any quicker way to find every Consulates in Gothenburg and existing suburbs, mainly because if we can't find any we indicate the closest. Even in case of conflicts, wars, inviolability of diplomatic premises is respected. The diplomatic legations enjoy a special status: they are inviolable. The security forces of a country can't enter a room enjoying diplomatic protection under any circumstances. Access to this section for a detailed listing of all Chinese consulates, embassies and representative offices located near Gothenburg. ConsulBy offers all Indian citizens with an updated and verified list of all Indian consular offices so they can contact them with any unexpected circumstance while in Gothenburg and its surroundings. 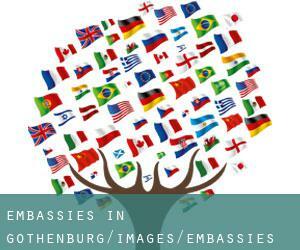 Have a look making use of this link a collection of all US embassies and consular offices placed around Gothenburg, just in case you need assistance while you are abroad. Check the Nigerian diplomatic mission in Gothenburg, responsible for delivering assistance and help to any Nigerian person though they're visiting the country. Access to this section for a detailed listing of all Russian consulates, embassies and representative offices located near Gothenburg. ConsulBy gives all German citizens with an updated and verified list of all German consular offices so they could contact them with any unexpected situation while in Gothenburg and its surroundings. Have a look utilizing this link a collection of all French embassies and consular offices placed around Gothenburg, just in case you need assistance while you are abroad. Check the British diplomatic mission in Gothenburg, responsible for providing assistance and help to any British person even though they are visiting the country.